This entry in the Countdown isn’t as amazing as the others, but it’s kind of a fun little thing that brings some more life into the world and a nice detail. Last week I made a video about The Bronco County Sunrise, the local newspaper. 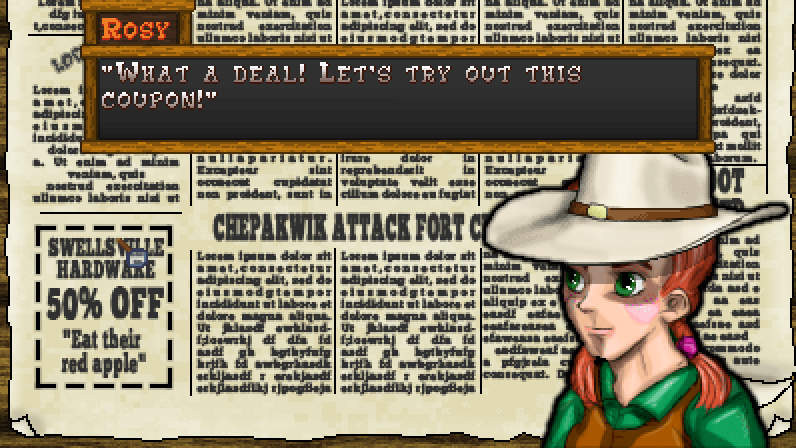 There’s a ton of stuff in the newspaper that ties the game together, from news stories revolving around the plot, to side quests, to new recipes for food. There are shop advertisements and there are also coupons for those shops. Whenever you visit a shop, you may have the option to input a coupon code. When the code is entered successfully, then the next item you purchase at the shop will be 50% off! What a deal! So how do you enter a coupon code? They’re easy to remember because they are sentences made up of four words. You can read the sentence code for the shop in the newspaper and then input the code where each word must be chosen from a list of ten options. That’s about 10,000 possible combinations, so don’t bother trying to guess blindly! Of course, coupon codes aren’t only found in the newspaper. 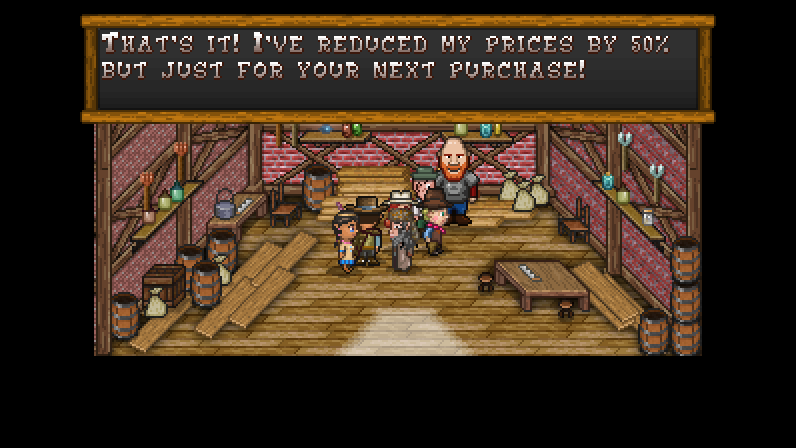 Sometimes other townsfolk will slip you codes as well for hot deals. Who knows how much you will save?! 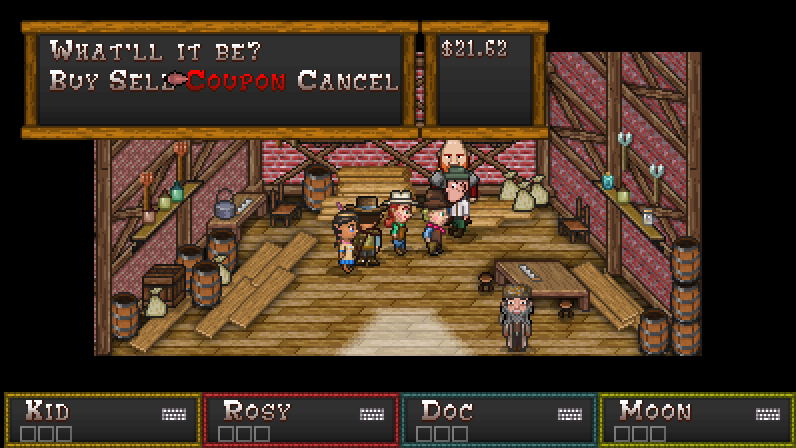 So coupon codes aren’t ground-breaking but they are just another little detail that adds flavor to Boot Hill Bounties.